What makes this iconic love story worthy of the eleven Oscars it received? 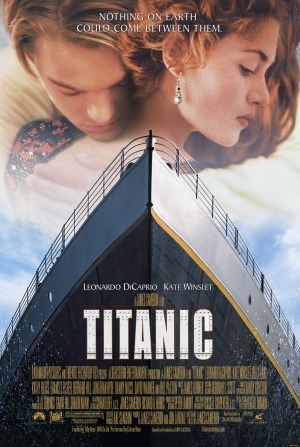 When Jack Dawson wins his way on to the voyage of a lifetime he falls for Rose, an upper-class passenger. However, when disaster strikes they both face a struggle for survival against seemingly impossible causes. DiCaprio plays the lead role of Jack with the charm that we’ve come to know in such films as Romeo + Juliet and What’s Eating Gilbert Grape. Jack’s varied role is highlighted throughout, most spectacularly in the contrasting scenes where he wins his tickets in a game of poker and then eventually goes on to dine with the first class passengers where he more than holds his own in a tongue-in-cheek conversation. It’s this kind of versatility that boosted Leonardo DiCaprio to become one of the top billed actors of his generation. The closest the film has to a traditional villain is Billy Zane’s Cal who is a magnificent counter to Jack and Rose, creating a truly dislikeable character. Working as an alternative to Jack, Rose’s decision between the men is made easier by Cal’s attitude and general dismissal of Rose which also adds another layer of romance in the urgency of their brief relationship. Despite being touted as a famous romantic movie, Titanic isn’t without it’s fair share of horrific and sometimes truly unnerving moments. After the ship is announced to be sinking the film becomes a brilliantly engaging thriller for a few key scenes and is enough to get hearts pumping and palms sweating. This creates a new spin on a traditional love story, allowing the previous build up between Jack and Rose to act as a huge motivational shift for them to escape. It’s no surprise that Titanic is such a well received and favourite film of many; with a great lead duo, fantastic British cast and interesting switch in style, this more than holds it’s own as a true classic.